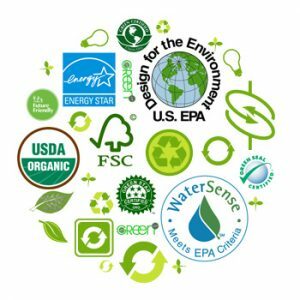 Voluntary Sustainability Standards and Public Policy – Where Is It Headed? Today, when you enter a supermarket, hardware store, or shop online you are besieged by a variety of labels and stamps claiming products are Fair Trade Certified, certified by the Rainforest Alliance Network, Utz Certified, SA8000 certified, FSC certified amongst many others. The proliferation of voluntary sustainability standards systems has led to questions about their tangible impacts and how to eliminate some of the “noise” of overlapping standards. Yet, a more fundamental question needs to be answered: what should be the role or relationship of voluntary sustainability standards systems to public policy processes toward meeting sustainability objectives? In the past 20 years, the rise of ethical certification and voluntary sustainability standards has resulted in hundreds of new certification schemes, labels, and initiatives to cover a range of products and issue areas, all with the broader goal of meeting a variety of different sustainability objectives. Systems have been developed to promote more sustainable forestry, palm oil, gold mining, and seafood or address cross-cutting issues, such as climate change, water, or labor. As these new systems have proliferated, increasing attention is being paid to how to communicate their value or scale up their reach and impact. Less attention has been paid to a fundamental question related to voluntary sustainability standards systems and their relationship with current ongoing State-led public policy on these issues. The argument has been made that current sustainability challenges from deforestation to climate change to increasing water stress have become so complicated that no single sector – be it the public, private, or civil society – can adequately address the complicated interlinked sustainability issues facing the world today. Rather, it has been suggested that new arrangements and new governance models that take a multi-pronged, multi-stakeholder, collective approach will be necessary to address these issues. It is in this light that proponents of this view have argued that voluntary sustainability standards systems including the Marine Stewardship Council, the Forest Stewardship Council, and the Alliance for Water Stewardship (just to name a few) have arisen. Though these systems and their accompanying standards are being developed through multi-stakeholder approaches that include civil society, private sector, and local community representatives, a fundamental question remains: are voluntary sustainability standards taking on a role that governments really should be playing? If so, how do you manage their development and implementation so that they complement rather than displace current ongoing government-led public policy processes? These principles serve as a preliminary guide for engagement with the public sector in the development and implementation of sustainability standards systems in order to ensure complementary approaches are being undertaken. However, the development of these principles serves as only the first step in an ongoing dialogue within the sustainability standards community geared toward better understanding how their efforts may help achieve sustainable development objectives in a way that complements and potentially strengthens public governance processes. Key questions still need to be unpacked in order to understand how current voluntary sustainability standards are today interacting with public entities, policy frameworks, and public-policy making processes as part of the standards systems’ scaling up approach. This includes an examination of the relationships during standards systems’ development, implementation, oversight, and in measuring their impacts. By developing a clear understanding of these issues, an additional piece of the puzzle of how to tackle today’s sustainability challenges may be addressed. A framework that builds upon both existing public-sector-led processes and these new multi-stakeholder initiatives to the benefit of both has the potential to significantly advance governance models, frameworks, and the creation of policy and implementation tools that can effectively tackle the complexity of today’s interlinked sustainability issues.